Add a splash of color and texture to any room with these plush pillows by Majestic Home Goods. 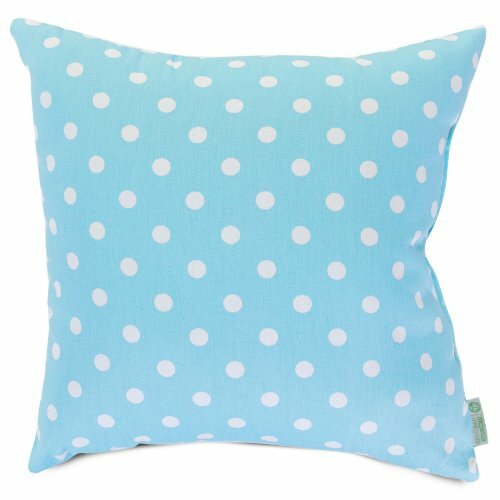 The Majestic Home Goods durable Aquamarine Small Polka Dot Large Pillow will instantly lend a comfortable look to your living room, family room or bedroom. Whether you are using them as decor throw pillows or for support, they are the perfect addition to your home. They offer durability beyond compare. These throw pillows are woven from durable Poly/cotton Twill and filled with Super Loft recycled Polyester Fiber Fill.